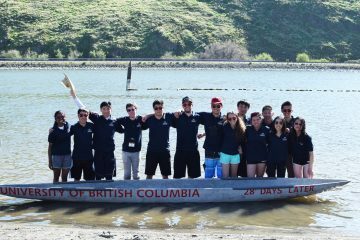 UBC Concrete Canoe gives members a chance to experience real-world challenges and engage in unique engineering projects. Members have the resources, mentors, and opportunities to get involved with a large variety of activities, both technical and practical. From laboratory testing and computer modeling, to networking and budget management. If you love paddling, we’ve got plenty of that too! Each year the team attends two competitions, one in northwest America and one in Canada. They design, test, build, and ultimately race a canoe made entirely of concrete. For those of you who are wondering, yes! It floats! Concrete Toboggan team designs, builds, and races their sled in the Great North Concrete Toboggan Race. The sled must seat 5 riders; have complete roll cage, braking, and steering systems; be under 350 pounds; and have a running surface made of concrete! We are formed mainly of Civil, Geotechnical, Mechanical, and Material engineering students, but are open to everyone willing to pull a slump test with us. The competition travels to a new Canadian city every year. 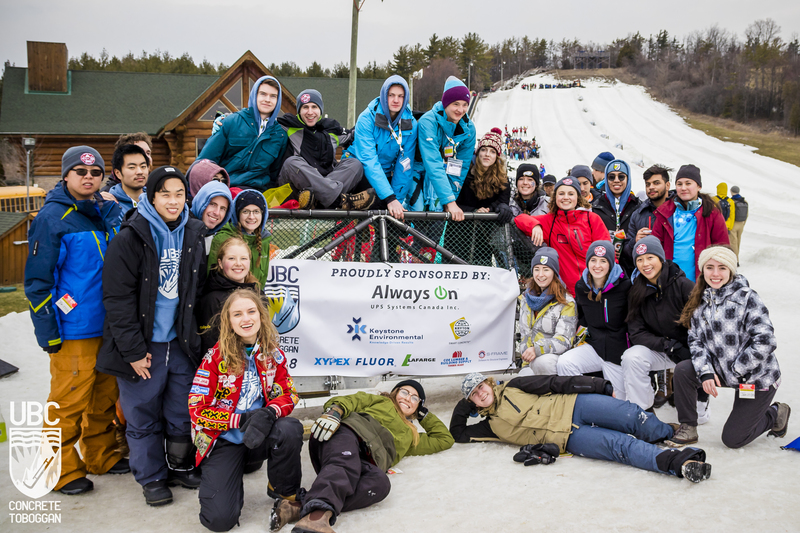 The design and technical justification of the sled are scored by academics and industry professionals before universities race head to head at a local ski hill. UBC EERI competes annually in the Seismic Design Competition (SDC), a civil engineering competition hosted by EERI Student Leadership Council. SDC promotes the study of earthquake engineering among undergraduate students, while providing them with an opportunity to work on a unique design project and construct a cost-effective and architecturally pleasing building to resist seismic loading. UBC Steel Bridge designs, fabricates, and constructs a steel bridge defined by the competition rules published anew each year. 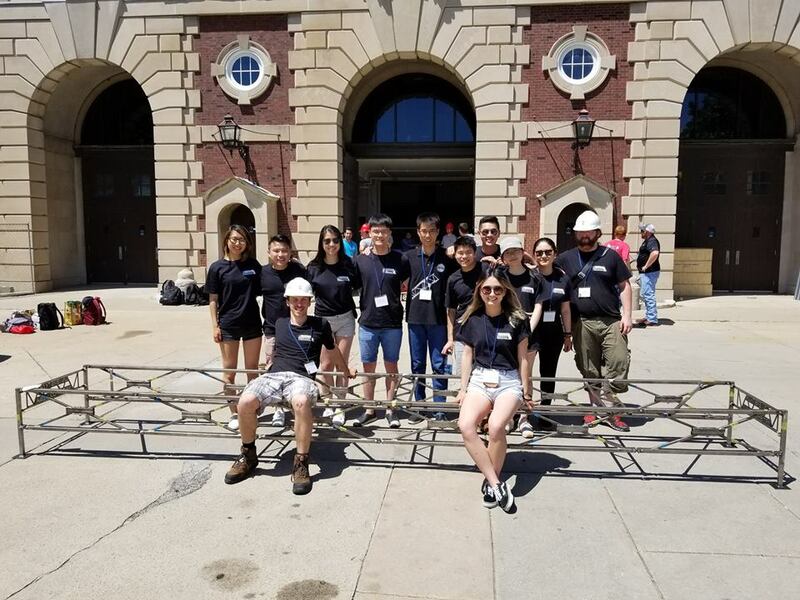 We compete in three competitions every year against universities across North America hosted by the Canadian Institute of Steel Construction (CISC) and the American Society of Civil Engineers (ASCE). Our performance is measured by assembly speed, bridge weight, deflection under 2500 lb load, and display. Members have the opportunity to perform a variety of technical tasks such as structural analysis and drafting using AutoCAD, S-Frame, and SolidWorks – programs which were given little exposure in class. If you are looking to develop your soft skills, we also provide experiences with networking, project management, and finance.